UW Professors Jeff Hardin, and Ron Numbers, will join us to discuss their remarkable new edited volume, The Warfare between Science and Religion: The Idea That Wouldn't Die. Since its inception, the "conflict thesis"—the idea that an inevitable and irreconcilable conflict exists between science and religion—has long been part of the popular imagination. 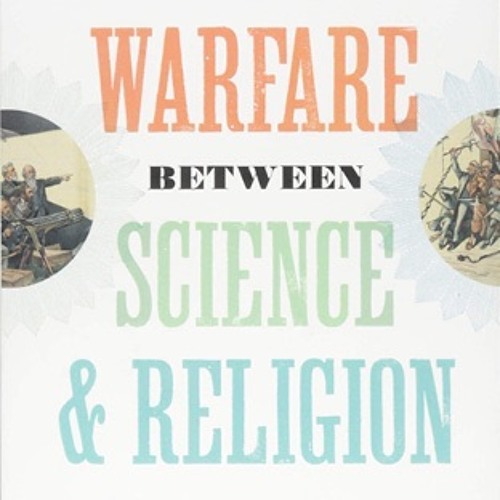 In The Warfare between Science and Religion (Johns Hopkins University Press, 2018), Hardin and Numbers (along with Ronald A. Binzley) have assembled a group of distinguished historians who explore the origin of this thesis, its reception, the responses it drew from various faith traditions, and its continued prominence in public discourse. Some of the questions explored in the book include the following: What are the personal circumstances and theological idiosyncrasies that have influenced leading intellectuals who have championed the conflict thesis? How has the conflict thesis influenced different religious communities, including evangelicals, liberal Protestants, Roman Catholics, Eastern Orthodox Christians, Jews, and Muslims? And what is the historical and sociological legacy of the conflict thesis in popular culture and intellectual discourse today? This event was hosted in partnership with The Veritas Forum. Dr. Jeff Hardin is Professor and Chair of Integrative Biology at the University of Wisconsin-Madison. He holds a Ph.D. in Biophysics from the University of California, Berkeley, and an M.Div. from the International School of Theology. His numerous research articles focus on the genetic regulation of cell movement and cell adhesion during embryonic development, which has broad implications for understanding human birth defects and cancer. He is also a nationally and internationally recognized biology educator, and the senior author of a widely used cell biology textbook, The World of the Cell (Pearson). Hardin is the only scientist in the Religious Studies program at the University of Wisconsin-Madison, where he is the director of the Isthmus Society, which is committed to promoting dialogue between science and religion. Dr. Ronald Numbers is Hilldale Professor Emeritus of the History of Science and Medicine and of Religious Studies at the University of Wisconsin-Madison, where he taught for nearly four decades. He has written or edited more than two dozen books, including, The Creationists (Alfred A. Knopf, 1992; Harvard University Press, 2006); Darwinism Comes to America (Harvard University Press, 1998); Galileo Goes to Jail and Other Myths about Science and Religion (Harvard University Press, 2009); and Newton’s Apple and Other Myths about Science (Harvard University Press, 2015), edited with Kostas Kampourakis. He is a past president the History of Science Society, the American Society of Church History, and the International Union of History and Philosophy of Science. The Veritas Forum helps students and faculty ask life’s hardest questions. Many of the world’s leading universities were founded to answer the big “why” questions. The mission of Veritas is to help them confront these questions anew. Students, faculty, and chaplains at Harvard University planned the first Veritas Forum in 1992. Since then, over 200 universities in North America and Europe have hosted over 2,000 Forums. The Veritas Forum is committed to courageous conversations, placing the historic Christian faith in dialogue with other beliefs and inviting participants from all backgrounds to pursue truth together.